I'm happy to announce I have added a "shop" section to my site. If you click on the shop link in the navigation bar at the top of my page, you will be directed to my cousin, Fatima's Etsy shop. 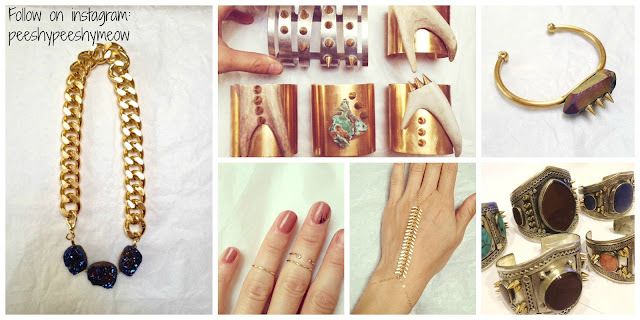 I am so proud to support her work through my blog as I've seen her make some of her jewelry and it seriously involves a lot of time and dedication. Everything she makes is hand made by herself with materials from all around the world including Iran and Dubai. It is truly one of a kind. In the spirit of Eid and in honor of launching this addition to my blog she is offering a 10% off discount if you enter the code "HaniHulu". 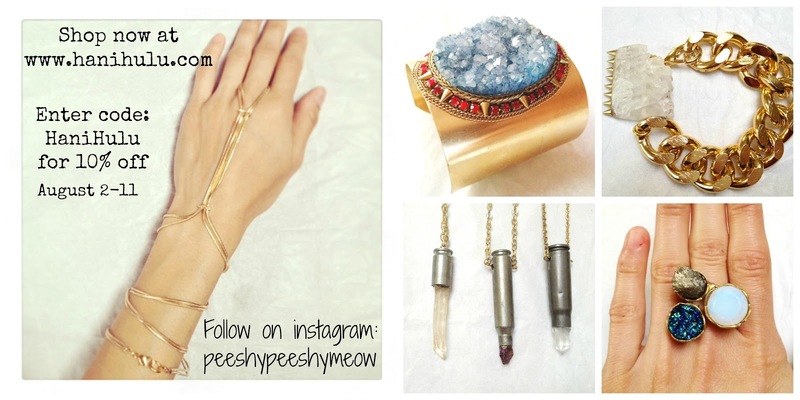 Get your orders in and make sure you hashtag #peeshypeeshymeow when wearing anything from her! You can follow her instagram at peeshypeeshymeow as she posts all her new items on there consistently.